Say what? The messaging app WhatsApp is being bought by Facebook, yet will continue to operate independently and maintain its own brand status. Facebook is also using this approach with its recent acquisition, Instagram, and opting to position itself as more of a mentor that can contribute expertise, scale, and resources to the rapidly emerging app while allowing it to determine its own direction and focus on brand growth. TechCrunch.com posted more on how this social media merger is meant to connect the world. According to Facebook, the social media giant and the cross-platform mobile messaging company share a vision of making the world more open and connected. Together, they hope to stimulate growth and user engagement for both companies. The $19 billion purchase price is comprised of $12 billion in Facebook stock, along with $4 billion in cash and $3 billion in restricted stock units reserved for employee retention at WhatsApp. Additional terms of the deal include WhatsApp co-founder and CEO Jan Koum joining Facebook’s board of directors and their headquarters staying in Mountain View, California. There is also a termination fee that would cost Facebook $1 billion in cash and $1 billion in shares if the deal were denied regulatory approval. In addition to their shared commitment to connectivity, Facebook was drawn to WhatsApp for its 450 million monthly active users, with 70% of those users active every day. This massive messaging volume approaches the SMS volume of the entire global telecom industry. 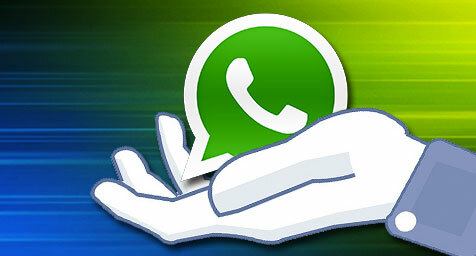 WhatsApp has also exhibited extremely strong growth and is now adding more than 1 million users each day. While the companies may share the goal of connection, they do not share the same operating procedures. Facebook is free to use, yet WhatsApp charges a minor fee, and advertising is the main method of monetization for Facebook while there are no ads with WhatsApp. Despite these differences, it seems that both social media companies can get along well and send their message of connectivity throughout the world.